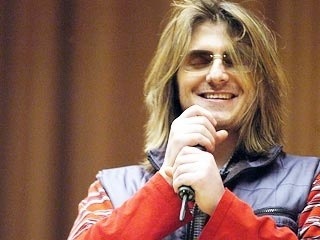 On March 30, 2005, Mitch Hedberg passed away, and the world lost one of its brightest young standup comics. I have always enjoyed standup comedy, but in the early 2000’s I discovered the unique voice that is Mitch. To honor the anniversary of his death I have been listening to his albums, and watching clips of him online, and though I have heard all these jokes more times than I can count, I have been laughing just as hard as the first time I heard them. I dare not quote him, nobody delivers his jokes the way he does. I’m writing this blog to encourage all the fans of him to watch a few of his YouTube clips today, and for the people who aren’t familiar with him, to discover what you’ve been missing. A comedian like Mitch doesn’t come around very often, so keep his spirit alive today, laugh, and remember him. Even after 20 years or so of listening to every comedy cd and dvd I could get my hands on, Mitch Hedberg is still up there in my top 5 of all time. I think it’s because, from what little I know about his personal life, he and I had a lot in common. We both have a very unique and odd sense of humor, we both suffer from stage fright, and though I haven’t drank in three years, we both had addictions. I truly miss his presence in the comedy world. I miss Mitch Hedberg too… he had an excellent sense of humor…. I like adam sandler’s comedy too. My brother’s best friend once introduced me to someone as “the person that introduced me to Mitch Hedberg”. Definitely a great comic – very sad that he’s gone. I can’t believe it’s been so many years! And, yeah, I still laugh just as hard at the same jokes, too. What more can be said except, “Ducks eat for free at Subway”. I loved his delievery and unique perspective on every day events. Like when a restaraunt calls out a parties name and no one comes to claim the table so they call out someone else’s name, “How can you eat at a time like this! People are missing!” Great post. He was wonderful. Truly unique, especially in his delivery. Thanks for reminding me of a master. I’ll be sure to look him up again in the coming days. thats the cutest kind of infestation.